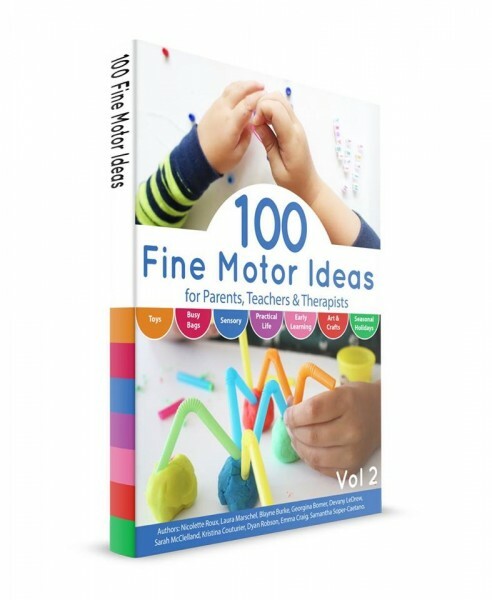 I am one of the authors of this wonderful book: 100 Fine Motor Ideas! 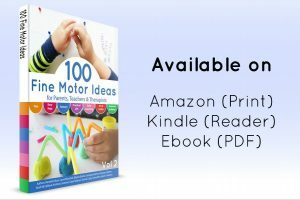 Following the incredible success of our first book as a team: 99 Fine Motor Ideas – we have worked together again to bring you this new book! How about a paperclip color match, cardboard stackers, moon dust writing tray, beaded wind chime or learning how to brush teeth?!? Want to know more? Here’s a video all about this awesome new book! YES PLEASE! Where do I buy a copy? The ebook is available from ebooktag, priced at $9.99. Instant download! Start getting inspired right NOW! And if you have a Kindle then we have you covered too! Buy from Amazon – list price $9.99! Wait! 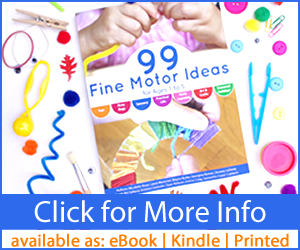 Do you want 199 fine motor ideas?!? Get both ebooks for a bargain bundle price! Just $16.99 for both! Click HERE! Subscribe NOW to the weekly Craftulate newsletter and receive a FREE printable play dough mats pack! Craftulate is a participant in the Amazon Services LLC Associates Program, an affiliate advertising program designed to provide a means for sites to earn advertising fees by advertising and linking to Amazon.com and affiliated sites.